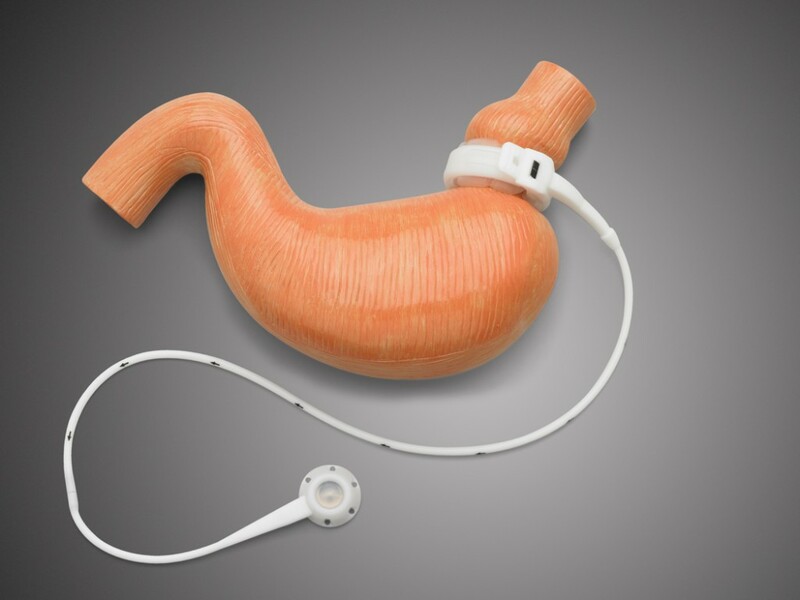 In 2000, Inamed Corporation was granted FDA approval for its Lap-Band® System, where an adjustable gastric band is fitted on the upper part of the stomach in a minimally invasive outpatient procedure. Though it is a fairly recent innovation, studies show that the Lap-Band® System is an effective means for losing weight long term. How is the Lap-Band® Surgery Performed? The Lap-Band® procedure involves placing an adjustable gastric band around the upper stomach to reach meal satisfaction with less food. After administering anesthesia, five laparoscopic (minimally invasive) incisions are made in the patient’s abdomen to enable access to the stomach. The surgeon uses a small camera to aid in the careful placement of the gastric band, which is made of soft, surgery-specific material. 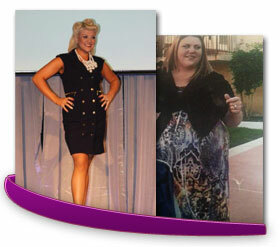 In most cases, the procedure can be performed in an outpatient setting within forty minutes. Most patients do not require an overnight hospital stay. Serious complications are rare, especially with close scrutiny and careful planning. The band can be adjusted to ensure proper function. Upon completion of the Lap-Band® procedure, patients will follow up with Western Bariatric Institute at regular intervals to adjust their band. These straight-forward (usually 10 minute) visits allow surgeons to inject a small amount of saline into the skin ports to gently tighten the gastric band. For most patients, finding the appropriate tightness for their band takes 3 – 4 visits. The clinical staff at Western Bariatric Institute are there throughout the entire process to help Lap-Band® patients find the best fit for favorable weight loss results. Who is a Candidate for the Lap-Band®? 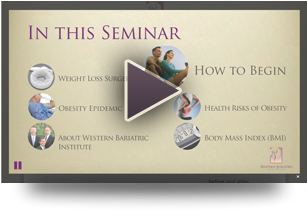 Western Bariatric Institute offers weight surgeries to patients who meet the criteria established by the National Institutes of Health and the American Society for Bariatric and Metabolic Surgery. Patients are considered candidates if they have a Body Mass Index (BMI) of 40 or more and/or suffer from any health condition related to obesity. Additionally, people with a BMI between 35-39.9 may be considered for surgery if their weight is affecting their quality of life and health. To learn more, please register for one of our free informational seminars by either clicking here or by calling (877) 985-6771.